It’s Thursday and time for another look back. As a writer I have several books that are my favs, but this book held a special place. It’s such a sweet romance and with a thrown in suspenseful element it takes you to a different place. 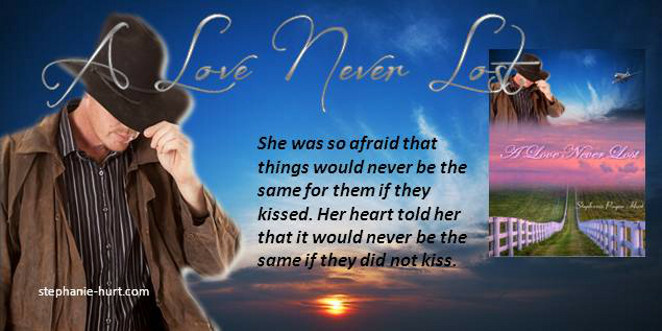 As I wrote this romance I could see the ranch as if I was walking with the characters. Some of the parts of this book were pulled from true life events, but I’ll just let you play with that comment. This cover was phenomenal in it’s design. I was so pleased when it was finished. Everyone wants someone to love, but when it happens to be someone you’ve known all your life, things get interesting. Then throw in another man who wants the same woman, well you have fireworks that spark a firestorm. Yep, this one has some surprises in it. This book can be found at Amazon, Barnes & Noble, Google Play, Kobo, Apple iTunes, Diesel, Oyster, Smashwords, CreateSpace and many others. Also, go over and check out the video trailer at Youtube. Just search Stephanie Hurt and look for my picture. All of my book trailers will be listed. Categories: Uncategorized | Tags: Author, Romance, Stephanie Payne Hurt, Throwback Thursday, Writing | Permalink. 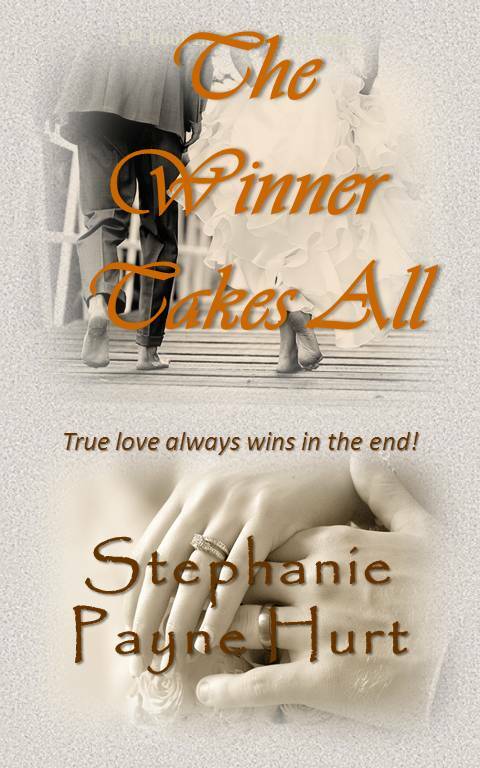 This is the much awaited 2nd book in the Winner Series. I’m so excited that this one is finally out. I’ve received so many emails and posts from readers wanting to know what happened to Slade and Stacy. Well it’s up and running. The cover went through several changes but the final product is better than we could have imagined. It evolved from one picture to two in this dreamy cover. Will there be a book 3 in this series? Well, it’s a possibility but it will be down the road some. I have been playing with the possibilities but we’ll have to see if it comes about. I hope everyone had a great Memorial Day and hopefully all of you thought about the meaning of the holiday. As for me we spent Sunday and Monday at the lake. It was relaxing, but I only got in about 1000 words all weekend. It’s crazy how you plan to write over a holiday weekend and then life steps in and there it goes. The weekend is over and you’ve missed your word count. Well, I guess that just means extra work every night this week to get the word count back up. Categories: Uncategorized | Tags: Authors, Book Release, Books, Holidays, Memorial Day, Weekend, Writing | Permalink. Well, another one of my books has turned two this week. Tender Flames turned two on Monday. Wow, time flies when you’re having a blast. I always knew that writing was fun and rewarding, but the last two years have really proven this as fact. Tender Flames was a challenge to me. I pitted two brothers against one another and made it work. I cried and laughed while writing this one. But as with Ghost Lover it is under reconstruction. I’ve learned so much in the last two years and I want to make this book even better with new angles. Even the cover will be remade even though I dearly love the original, everything needs a face lift from time to time. They walked hand in hand back to the party. They were both deep in thought. She was thinking about how her family would react and how Wes would. Zach knew his family would be happy, well almost his whole family. He knew it was mean of him to want to hurt his brother, but his brother was a fool for not snatching her up long ago. They arrived back at the party. Randy ran over, “Hey sis, everyone wondered where you two had wondered off to. Judging by the look on your face I know what you were doing.” He grinned as he pulled his sisters hair. She blushed. He gave his brother a hug and said in his ear. “Brother, she had better not be pregnant. You had better make her happy.” He gave him a look that dared him to go against what he said. With that he had left with his girlfriend. Zach had noticed his brother’s reaction too. He was sorry for the hurt he had seen in his eyes, but he loved Sara. He would make her a good husband. Maybe one day she would learn to love him, but for now he was satisfied that she would be his wife. He knew deep down that there would always be a large part of her that belonged to Wes. He could live with that, he just hoped that she could. He turned to her and gave her a big kiss, which brought a lot of whistling and applauding. They danced together for the remainder of the evening. Sara was still a little shocked by the show of emotions on Wes’ face. She knew now that he loved her, but she had committed herself to his brother. She would not back out now and hurt Zach. In a way, she did love him, but she would never love him the way she did Wes. She would make him a good wife. This is from the original manuscript. Since the rewrite is already in process this scene will read differently but the emotion will be there. 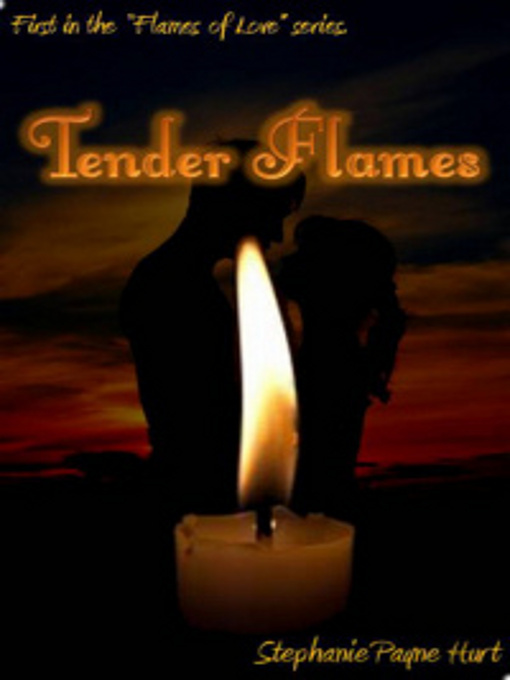 Categories: Uncategorized | Tags: #TBT, Authors, Rewrites, Romance, Stephanie Payne Hurt, Tender Flames, Writing | Permalink. Good Monday morning! I’ve been a little under the weather with allergies and sinus, so that’s the cause of my few posts in the last week. It’s crazy how off kilter it can make you. My writing has suffered along with everything else. Do you ever get sidetracked? Is it hard for you to get your focus back? For me it’s been difficult. I felt a little better last night, but just couldn’t stay focused. I guess the stuffy nose and slight headache made my brain way too fuzzy to concentrate. Of course sometimes we do need to just put things aside and wait for our head to clear. I guess if I had written anything in the last couple of days it would have been strange. What I mean is it would not have made a lot of sense. With my fuzzy head my thinking process was slower than normal. Hopefully I’m on the road to recovery. I definitely have to get back on track and make up for the lost writing time. Categories: Uncategorized | Tags: Allergies, Authors, Concentration, Sickness, Writing | Permalink. Every book needs a great cover and when you have an awesome cover designer it makes things go smoothly. I just love this new cover. This book has been a long time in the making. I had to step away from it for a little bit. Sometimes we writers have to do that. But now I’m into the editing and so glad to be almost finished. I love this series. This cover took alot of thought. What’s funny is it started out totally different and by the time we were finished it was this gorgeous concoction. The original cover was very vibrant, but my designer decided on using these subtles hues of beige, gray and white, which to me looks totally awesome. The next morning it was rainy and dreary outside. She woke up in a bad mood, which was unusual for her. When she arrived at the office, Abigail had her a cup of coffee on her desk as soon as she saw her face. “Stacy, what’s wrong? You look like you didn’t sleep well.” She looked a little concerned. She’d never seen her like this. “I went to bed with a bad headache and it seems to have woken up with me.” As she reached for the coffee her engagement ring twinkled back at her. She smiled through the pain. “Thanks Abigail. I am a lucky woman with a lot of hard decisions.” She sat down and sighed. “Alright, what’s up?” Abigail sat down in the chair on the other side of the desk. “Guess when he wants to get married?” She propped her head in her hands. “In June?” She said quietly. “Oh, June I could work with. He wants to get married on Valentine’s Day.” She looked at Abigail and made a face. “This Valentine’s Day?” Abigail’s eyes became huge with surprise. “No wonder you have a headache. I guess he’s not a patient man.” She grinned and gave her a wink. As I said, it’s in the editing department of Horseshoe Publishing, so it should be ready really soon. I’m excited to have it completed and ready to go. It’s crazy how relieved I always feel to have the cover completed. The editing is a process that excites me, but the cover is always so pivotal for the book that sometimes this part of the process is so stressful. Categories: Uncategorized | Tags: Authors, Cover Design, Covers, Editing, Horseshoe Publishing, Stephanie Payne Hurt, Writing | Permalink.